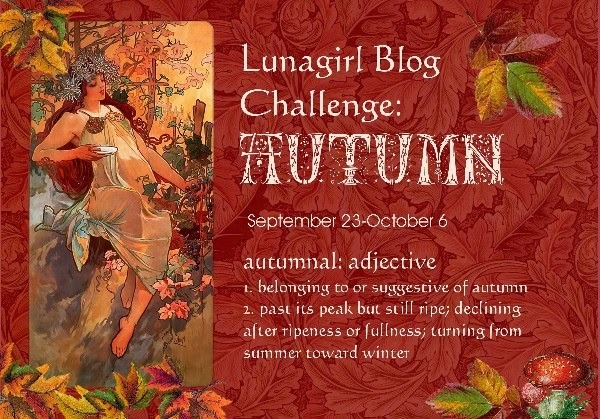 Yesterday was officially the first day of Autumn here in the Northern Hemisphere, so for my next blog challenge let's do an AUTUMN theme. 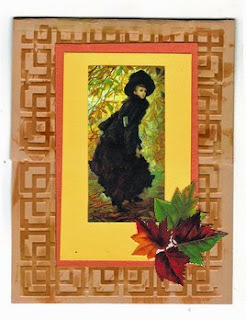 What does autumn (or autumnal) mean to you? To me, Autumn means falling leaves, of course, and autumn colors of gold and red and orange and brown. It means nights that get longer and cooler. Bright sunny days with a little nip in the air. Cool rainy days spent with a blanket and a good book. 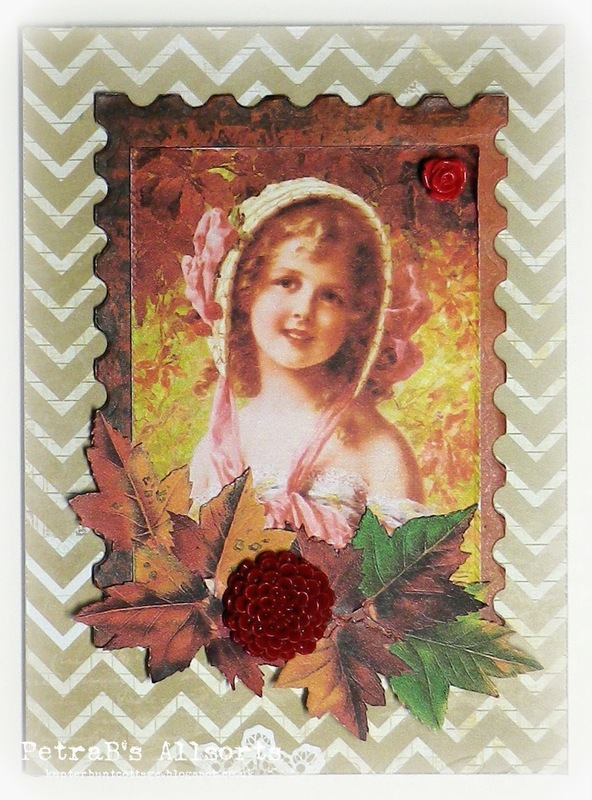 Pumpkin pie, red apples, Halloween and Thanksgiving. School clothes and Number 2 pencils. Here in Tennessee, early Fall means the acorns are ripe and the squawky bluejays arrive to eat them! If you see the definitions of "autumnal" above, it can also refer to a metaphorical autumn, the autumn of one's life, an autumnal style in art, a feeling of something a little past ripe but still lush, a turning from fullness of summer toward the stillness of winter, a golden in-between time. A turning inward. Fall always energizes me, with cooler air and bright turning leaves and a new school year, but it also tends to make me reflective. 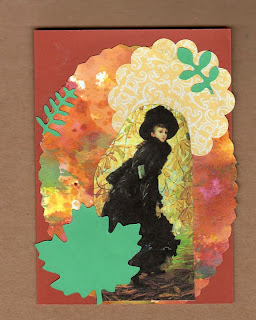 I can't wait to see your creative reflections on AUTUMN! The Design Team has created some very lovely pieces to get your creative juices flowing (see them below). Please link to my blog & Lunagirl.com on your site if you have one. Amazing work by the design team!! Looking forward to this challenge! Your design team samples are fabulous. Love the vintagy feel to your sheets. Thanks for sharing the sheet music. 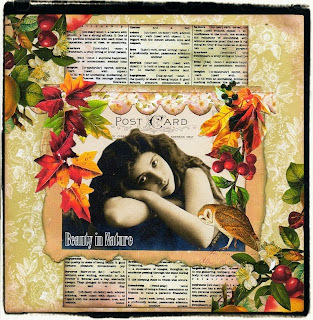 Thanks for the "autumn" challenge and the chance to win some of your great collage sheets!